The three states of matter are solid, liquids and gas. 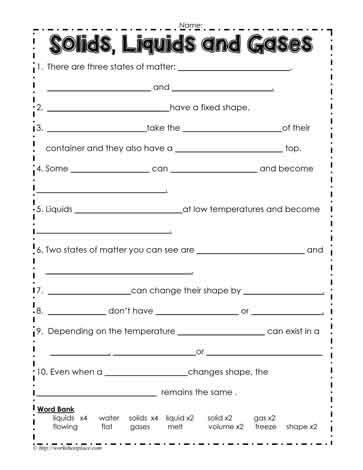 This states of matter worksheet is a basic matter worksheet for grade 2. Solids, liquids and gas worksheets.